Our friends at Posterjack were kind enough to let me review another product in their amazing lineup of photo art solutions. You may recall my first Posterjack review where I ordered a canvas print of one of my photographs of Albion Falls in Hamilton, Ontario. The timing of this review could not have come at a better time. Not only is the type of product perfect for my particular situation (more on this later), I just happened to take a great shot of a sunrise at the family cottage. One of the key components to a great photo is simply timing. Add personality without the paint. My wife and I are currently constructing our new family home. Life in a small semi-detached home with two children just wasn't cutting it. As we have already sold our existing home, we are now living at a temporary location. Not wanting to push my luck (I'm equipped with two left hands), I have refrained from placing any of our photos and other art on the walls. This makes for quite the bland surroundings. 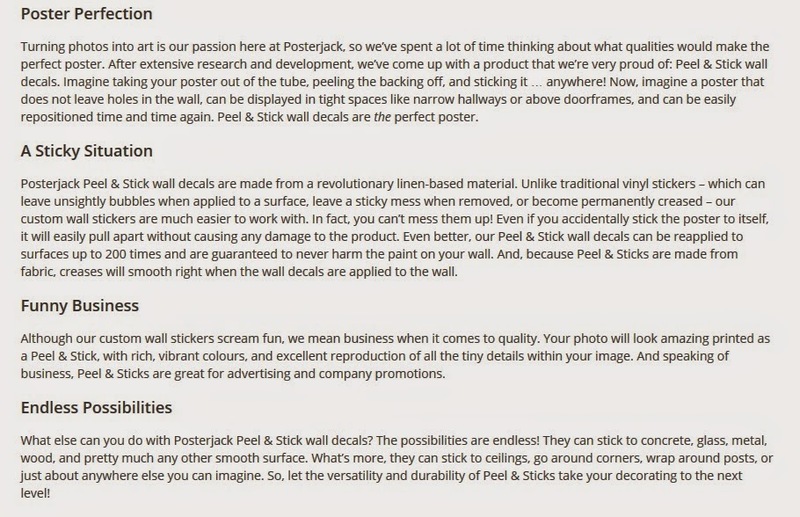 This is where Posterjack comes to the rescue, especially with their line of Peel & Stick posters. Not only could I easily get some of my artwork on the walls, but I could do so in an inexpensive manner and in a format which is reusable. According to Posterjack.ca, these posters can be reapplied up to 200 times! As noted in my first Posterjack review, the ordering process is very simple to navigate and presents various finishing options. There are also multiple shipping options including local pick-up in Toronto. Posterjack did not disappoint as my poster was delivered in a tough cardboard tube. The poster was also carefully wrapped in tissue paper to prevent the poster from being scuffed while in transit. The print size I chose was 48" x 32". Given the size of the print, the retail price of the Peel & Stick poster is fairly inexpensive. Compare the list price of this item, $69.99, to the same size in a canvas, $249.99. Don't get me wrong here, canvas is absolutely worth the money, I just want to point out that there are less expensive options available to you. Mounting the poster on the wall was a bit of a challenge given it is 4 feet wide. I had to enlist the help of my wife to ensure that the poster was reasonably level. This took a few tries. The one thing I did notice is that the stickiness of the poster did not seem to fade between the three applications it took to get this sorted out to my satisfaction. Give the wall a quick cleaning with a damp cloth. Let it dry overnight. Watch out for imperfections on the wall such as nail pops. As the poster is plastered over the area, the distortions from these imperfections will be visible on your print. Don't completely remove the backing before mounting the poster. Remove the backing on just the top few inches and stick it to the wall. You can then slowly remove the rest of the backing while ensuring that the poster remains taut and wrinkle free. Remember to save the backing and shipping tube for future uses. Overall, I was impressed with the feel of the poster and how easily it was applied. During the application, smoothing out any pockets of air required very little effort. The colours are vibrant and true to the original file I uploaded during the ordering process. This is definitely a great product if you are living in a temporary location (apartment, dorm room, etc.) and/or if you wish to obtain a large print at an extraordinarily reasonable cost. That's a great idea! Love that you can re-apply the poster over and over again. it comes very handy during this time of the year...really love your candidate photo..beautiful! I love Posterjack. I have use them before and I would again. I know what I'm getting for Christmas!! These sound neat. I wish they had a physical store so I could get a feel for what they really look like. 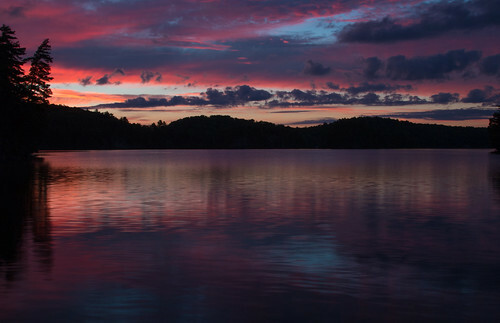 Oh that is a beautiful photo, love the colors in it! Posterjack is new to me, and I love everything I hear or see from them. A peal & stick poster would be great to have in a couple rooms in my house!